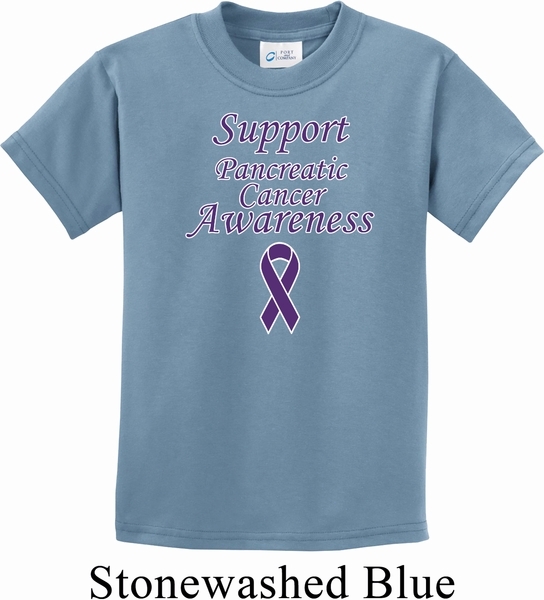 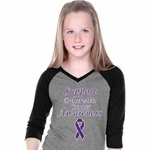 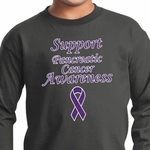 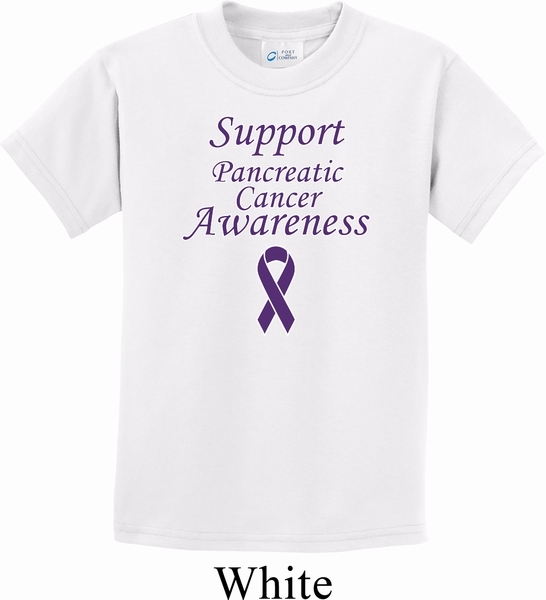 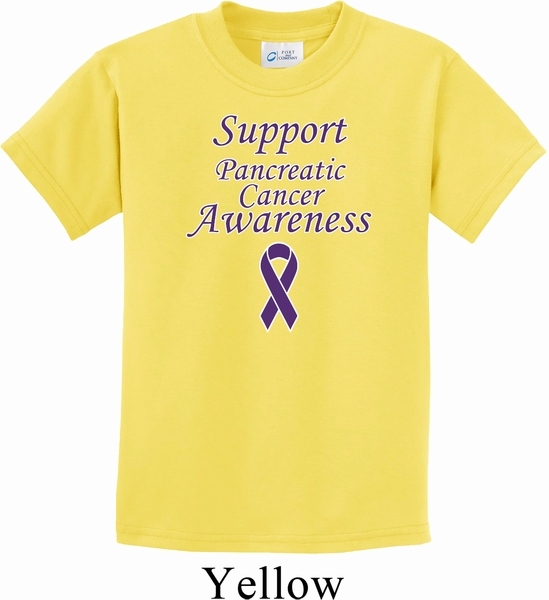 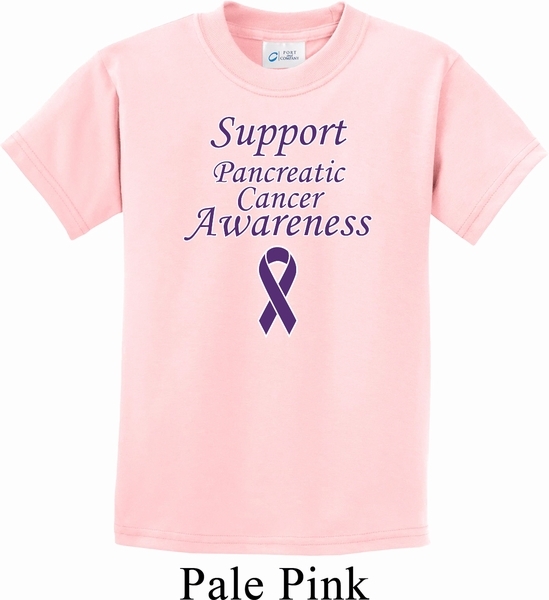 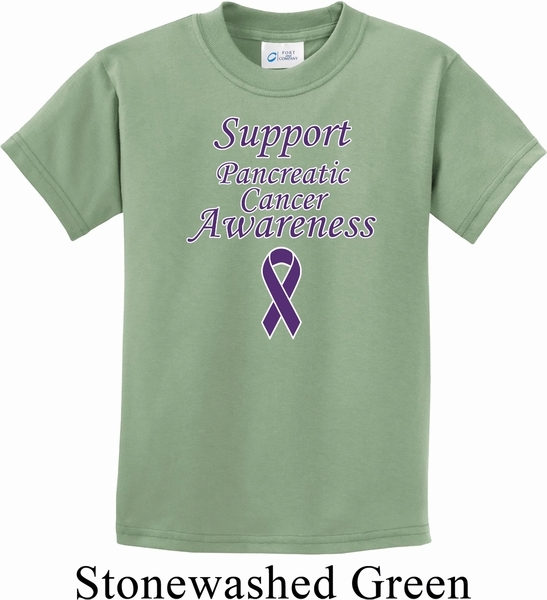 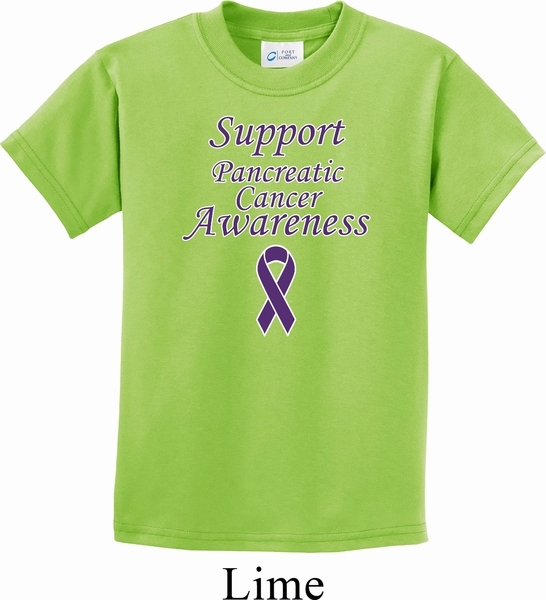 A kids t-shirt featuring Support Pancreatic Cancer Awareness. 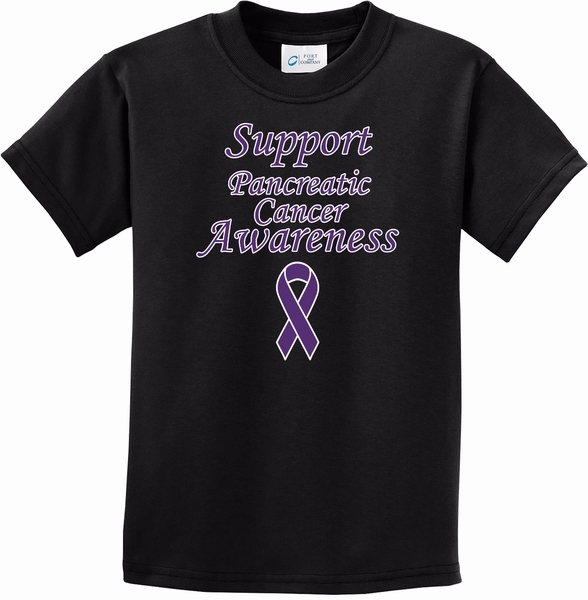 Our youth tee is made of 100% cotton. (Ash and Athletic Heather are made with a blend of cotton/poly) Perfect to support loved ones fighting Pancreatic Cancer. 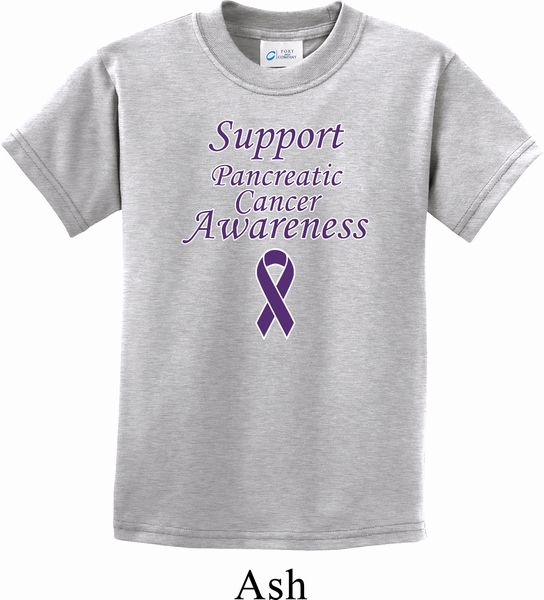 Available in sizes Small through XL. Machine wash cold with like colors; dry low heat.